Congressman Gene Green, center, poses with representatives of the UT Physicians Jensen Clinic on Crosstimbers, and members of the community who helped administer the immunizations at Green’s 23rd Annual Immunization Day. Congressman Green sponsors the Immunization Day in several locations throughout his district. This year locations included AAMA Learning Center on the Gulf Freeway, El Centro de Corazon-Magnolia Health Center, North Shore Senior High School and the UT Jensen clinic. 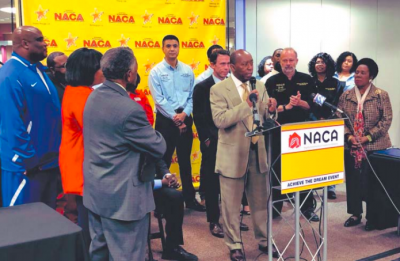 NORTH HOUSTON – For nearly a quarter of a century, U.S. Rep. Gene Green has held a back-to-school immunization clinic at locations in his District TX-29, in northeast Houston. Even though Green is leaving office soon, he says the tradition is likely to continue under the next office-holder. Three Houston area locations played host to Green’s immunization clinics on Saturday, Aug. 11 – North Shore High School, AAMA Learning Center on Gulf Freeway, and UT Physicians Jensen Clinic on the north side. Through various community partners, the impact of families served numbered in the thousands. “Our goal is to have healthy children for the next generation of our community,” Green said. 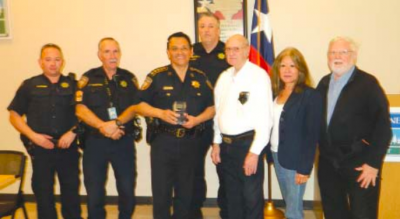 He was presented a token of appreciation at one of the events for his service organizing this 23rd annual health-related event. At the Jensen clinic, hundreds of children and parents lined up awaiting their turn to get shots. Thanks to a partnership with Walgreens, flu shots were also available. Houston Food Bank was also on hand, distributing free fruits and vegetables with volunteer help from local churches such as Greater Jerusalem MBC and Apostolic One Way Church. Houston ISD was also listed as a partner, specifically Berry and Page elementary schools – the closest schools to the clinic at Jensen and Crosstimbers. The North Shore Rotary Club is another partner, providing backpacks with school supplies to each child. The clinic provided vaccinations to children ages 4-18 with around 100 being served at UT Physicians Clinic. Lizbeth Mayor brought her daughter Luna, 12, to get her shots before school starts. She said she appreciated the service provided – and Luna didn’t even flinch when nurse Angela Brown administered three vaccinations. Green said he was assured by Sylvia Garcia that, if elected, she would continue the back-to-school event that has become an August tradition.